Experts have studied the political tastes of Russia’s nascent middle class and come to the conclusion that this social group are not attracted to the agendas of any of the country’s existing political groups, with no party willing to seriously tackle corruption and cronyism or implement meaningful economic reforms. However, in the current circumstances, there is little chance that an alternative force will emerge in Russia any time soon. No party in the country is good for the middle class: This is the conclusion that experts of the Institute of Priority Regional Projects have reached in a report titled "The Urban Middle Class: An Agenda, but No Party." When speaking about the middle class, the authors make a reservation; in the global sense of the term, it is yet to emerge in Russia, but “middle social strata” do exist. 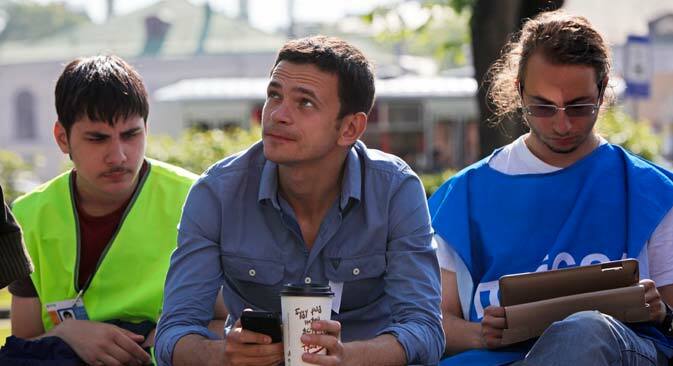 "It is, above all, socially active people who tend to change the conditions of life, to influence processes, rather than adapt to them," the institute's CEO Nikolai Mironov told RBTH. By Mironov’s estimate, such people constitute about 30 percent of the population. Alternatively, people with a corresponding level of income are assigned to the “middle class.” Using this criterion did in fact produce a figure of 30 percent, Levada Center expert Denis Volkov confirmed in an interview with RBTH. However, this number today includes civil servants and state employees, who in recent years “have started to make a good living." "But the independent behavior usually expected from the middle class cannot be attributed to them, since they relate to the state," Volkov explained. There are no more than 10 percent of truly active people among them (for instance, businessmen), but they are also guided, first of all, by the opinion of the state, he said. Because of these problems, demands for the modernization of the political system (it had stayed in public attention for two years before that) have fallen by the wayside, "replaced by a mood of total apathy." The respondents describe everything that happens as "window dressing": "The party system stands for nothing, for no-one's interests"; "We have one party [United Russia – RBTH] and dummies around it. And that's the whole party system."